Should You Act Cheerful When You Don’t Feel Cheerful? As a dating and relationship coach I put a lot of emphasis on using positive energy and a cheerful mood to attract the kind of men who tend to make good life-long partners. Several people have asked me if they should put on a cheerful mask even when they are not feeling cheerful. It’s a good question, and one worthy of a response for others to hear. What if I told you the answer depends on how long the two of you have been together? Would you go for that answer? What if I told you it depends on the emotional maturity of the man you are dealing with? Would that make sense? 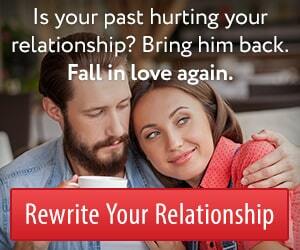 What if I said the answer depends on whether you feel ready to test the strength of the relationship? Maybe the answer should come down to your own personal comfort with opening up to him about the issues that got you down. There are many factors to consider, but there is one factor that is more important than any of the others. We all like to be authentic. The idea of wearing a mask seems to detract from the natural romance two people share in a genuine relationship. Yet most couples gradually decrease the effort they put into a relationship as the novelty wears off. Sharing the best of themselves with their partner ceases to be a high priority in life. I believe you should steadily increase the effort you put into how you come across as the relationship matures. I’m not talking about being fake. Read on to learn more. When a new romance sparks to life, both partners automatically put their best foot forward. You may be experiencing the mood-altering effects of hormones, an argument with your boss, or any other number of frustrations, yet you do not wear your grumpy face into the restaurant as you walk in to meet him for your second date. This is just automatic and natural; you put your best foot forward. The truth is, it takes effort not to wear a mask when a relationship first begins. As time progresses, you begin to rely on each other for emotional support. You even talk about the minor hardships you face during the course of a typical day. Not long after that things begin to slip. The two of you still appreciate each other, but you don’t really bother to show it is as much as you used to. When one of you is having a hard day, there’s no apology for your mood. You just assume the other person will be compassionate. It’s a process by which two people gradually start to take each other for granted, sort of like the way siblings do. You may deeply care for your sibling, but you don’t go out of your way to show the same level of respect or appreciation that you would for someone with equal qualities who was a friend rather than a sibling. I believe this is one of the several factors that cause great relationships to erode gradually. Over time, the grass begins to seem greener on the other side of the fence. I believe this is one of the biggest reasons why it happens. The more comfortable we become with being ourselves, the more we neglect to SHOW our partner how much we love, appreciate, respect, and adore them. It’s no wonder they begin to have wandering affections when someone else DOES start to adorn them with love, appreciation, and respect. Let’s go back to the question we started with. If you’re having a bad day, should you let it show on your face and in your nonverbal actions? Here’s my answer. I think you absolutely should, but with an explanation and an apology. Instead of taking them for granted, tell them how much you appreciate being able to show your true emotion with someone who cares for you. So the most important factor that I alluded to at the beginning of this article is the demonstration of appreciation. You need to SHOW your partner that you appreciate them. When you don’t feel capable of putting on a smiley face, you need to apologize to them, acknowledge the strain it must put on them to see you in this state, and thereby show your respect, love, and adoration while being “yourself” at the same time. This way, your partner feels your respect and admiration while simultaneously participating in your real life. Don’t take this too far. If you are feeling miserable for days you will need to put forth effort to smile and make eye contact and use a pleasant voice tone. Otherwise, you are putting the expression of your emotions at a higher priority than your relationship. Expressing emotions is important, but not in marathon style. Express your emotions in short sprints that allow the release of internal feelings, comfort and support from your partner, and protection for your relationship. It’s just human nature. If you consistently frown and grumble and mope around, he will automatically and unconsciously begin to feel motivation to avoid you. This is true even if he truly loves you. Putting the relationship first sometimes means you need to behave like a person who is interested in making a good impression. Doing so comes naturally with someone you barely know, like the lady who cuts your hair, but we tend to drop this effort when we spend time with the person we love the most. I hope this article was helpful to those of you who have been wondering about this. As you can see, long-term relationship success can be significantly enhanced with just a few simple shifts in your mindset. Some forms of appreciation need to be expressed in very specific ways for men to “sense” that they are being appreciated. One of the most awkward and difficult things my clients face with men is the odd ways men experience and interpret signs of respect. 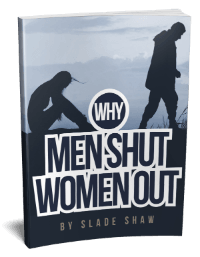 Because men can’t feel loved when they don’t feel respected, I’ve put together an important training course to empower women in a way that makes relationships with guys much easier. If you have not already gone through my short course, get your copy here. This entry was posted in Dating, Relationships and tagged emotional honesty, emotions and relationships by James Bauer. Bookmark the permalink. This article is really helpful. Thank you, James. Thank you James , I agree totally with your article. I feel men really aren’t equipped to handle excess emotion . I try to calmly discuss my issues with my man and if I really want to vent I find a female friend to do this with as they understand this need more than any man can . Thank you James. This hit a note with me. I go silent and into my self pushing all my worries and my needs to the back of my mind. I listen every night to my new partner, about what has gone wrong in his day at work ect and help him sort problems out. But I can’t seem to talk about me and what stresses I’m going through. After a 34 year marriage went down the drain 4 years ago, because I couldn’t talk to the man that I loved then and I didn’t want to upset the apple cart. I feel I am starting to do the same again. I do love my boyfriend dearly and he is not a well man, he has given me a home and some security for the future although he is a work-aholic. I feel that I don’t want to upset the apple cart again and always put on a smile when some times I still want to shout out what about me! I have three adult boys and they don’t want to listen to my problems. They want me to listen and sort theirs out. I do feel on my own some times. The sad thing is most of my friends have big problems as well and rely on me to be their shoulder to cry on. I have been told that I’m like a mother Theresa. After reading your post today has made me think! Perhaps it is the best to air one problems and let all know that I struggle to. Thank you for giving me a kick start today! I have been following James’ advise and suggestions………..girls……..damn it works !!!! I dont mean to brag, but…..I have stepped it up with the men I date (not only in kindness, but financially and men of good character.) Then, the ultimate of a man came my way and I do mean The Best !!!! And, I am still reading James’ blogs/emails to not sabbotage myself of deserving such a wonderful man. I think, to me, this whole process I am learning boils down to 2 things…..listen to James and give yourself a makeover from head to toe, including having a professional detail job on your car…..when you feel worth while, it reflexes outward and men SEE it as self-confidence and that you feel comfortable in your own skin. I think that touches a man’s heart deeply. Christine, you made my day! I agree with everything that is said here, and especially love the way it is expressed. I have found from my own experience that when young, it seems to be an expectation that partners “accept” you as you are…. warts and all!! 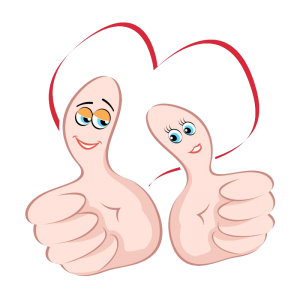 After marriage break-down and separation in middle age, which has been the most extreme stress I have ever experienced, I have found that relationships since have been more highly valued and appreciated. It seems a shame that young people are not more aware of how precious their partner is, before it is often too late!! I now have a memory that I carry of lonely nights, my lost soul-mate and the desolation and fear of being a single mother….. which is now helping me to treasure the wonderful man in my life now. I will not become complacent again as the ultimate pain is just too great! I appreciate your comments, Odette. So true Odette and very well said. Too bad we have to learn from our mistakes. All we are doing is living and learning. Very well explained, and I hope this goes viral because I avoid women who feel entitled to express themselves, it’s toxic sometimes. So what does a woman do if they aren’t entitled to express themself. Maybe it’s toxic only because they are hoping for feedback to help them understand a situation that they are trying to work out on their own..
Agree Jenni. I know when I feel toxic, the only way to release that negativity is to reach out to friends and family for advice. Usually then and only then do I start to feel freedom from the “feeling”. Isn’t that what real, loving relationships are for? Interesting and I agree, you should not fake it, but allow for it to be know this is a not good time for me, so I’m a little off center, with that understanding I think that it will be shown if the “man” is at all interested in you for emotional reasons and not just a “smiley” face physical reaction/attraction.